It’s with Pots, instead of Endless Encoders. Imo more recommendable. 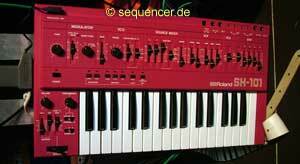 The PEK is a nice synth..
Sequencer Synthesizer Forum – Poly Evolver Keyboard PE.